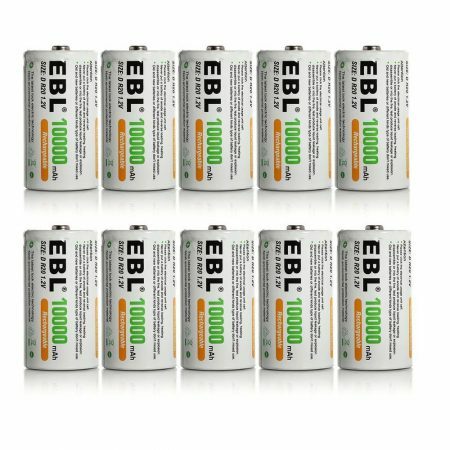 These 10-count rechargeable NiMH D batteries are made with 10,000mAh high capacity for great battery energy. 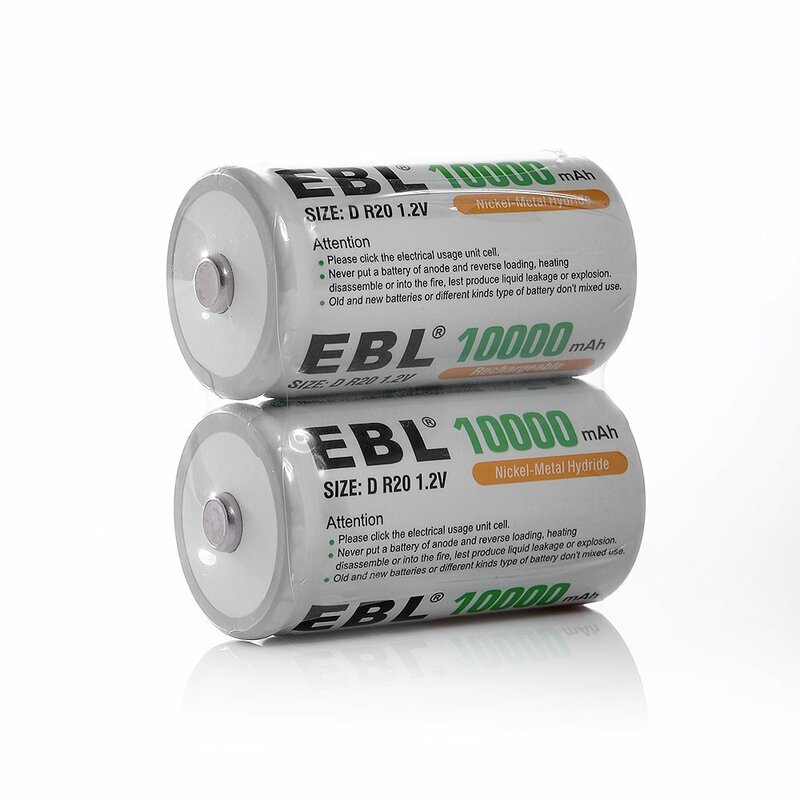 The high capacity D cells have long battery lifespan, up to 1200 recharge cycles. 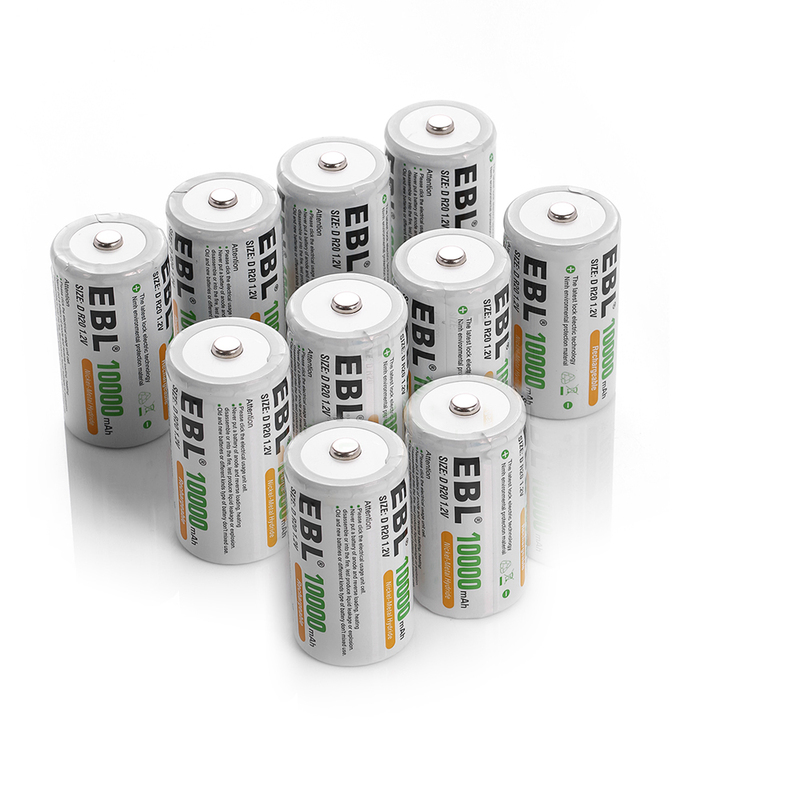 These efficient D cells discharge themselves at a super slow speed during storage. 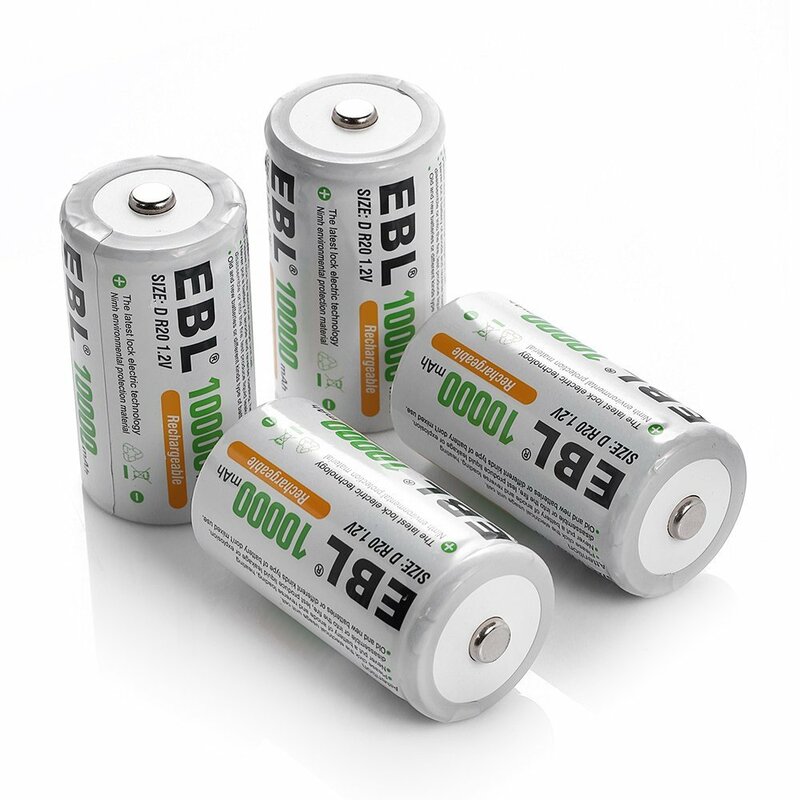 The EBL D batteries can keep approximately 75% capacity for up to 3 years storage. 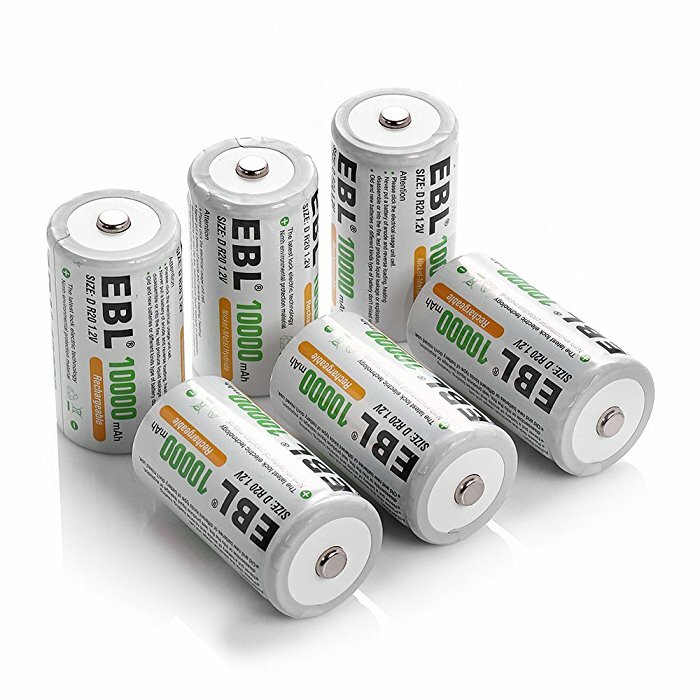 These D size rechargeable batteries are very useful for a wide variety of household devices. 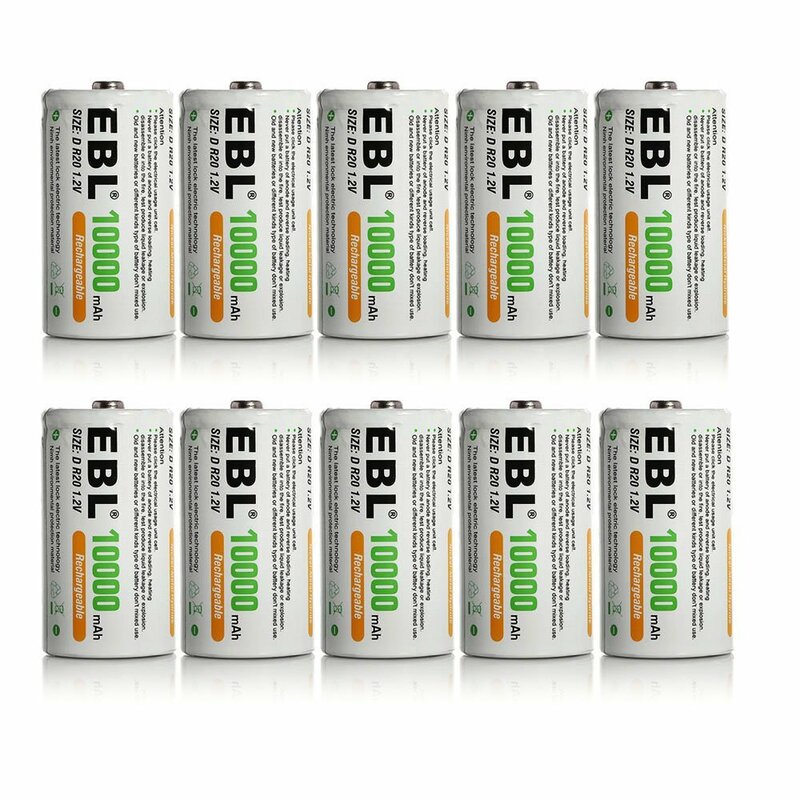 10 Pack EBL D cell batteries. 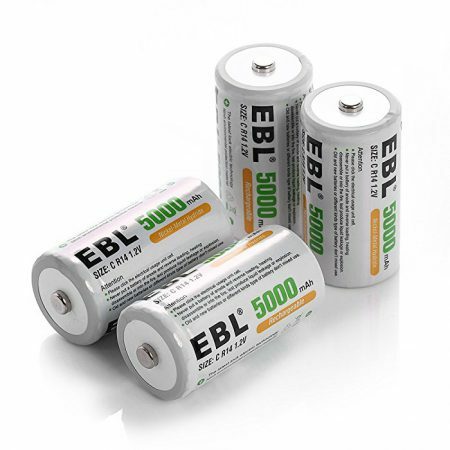 EBL rechargeable D cells are made of most reliable materials and highly efficient NiMH cells. 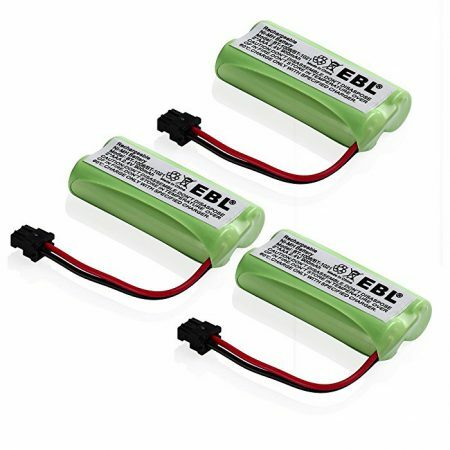 They fully meet the requirements of safety, rechargeable performance and stability for CE and ROHS quality certification. 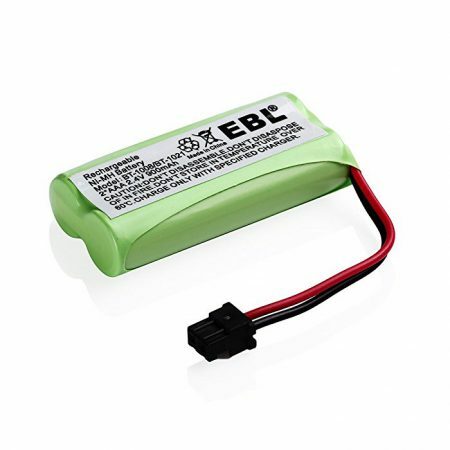 EBL 10-count rechargeable D batteries can be widely used for frequently-seen high-drain devices, such as R/C controller detector, emergency location transmitters and beacons, paintball guns, GPS, LED lighting devices and other portable high drain digital electronics. 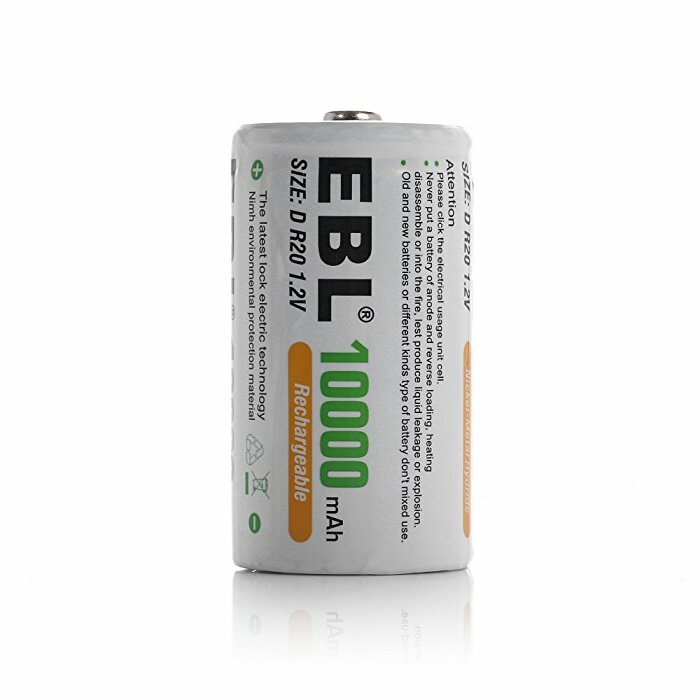 These rechargeable Ni-MH D batteries are upgraded with high capacity 10,000mAh, long battery lifespan up to 1200 charge cycles, and super low self discharge. 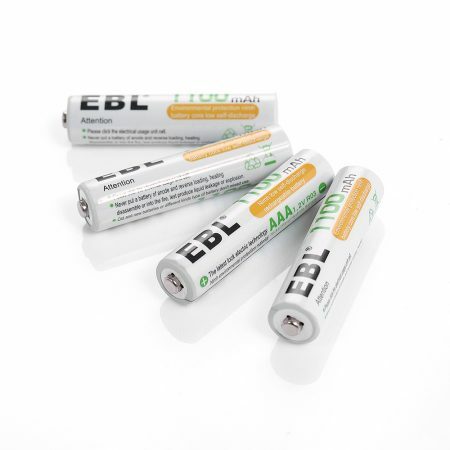 Batteries are pre-charged fully in the package. You can use them immediately right out of package. 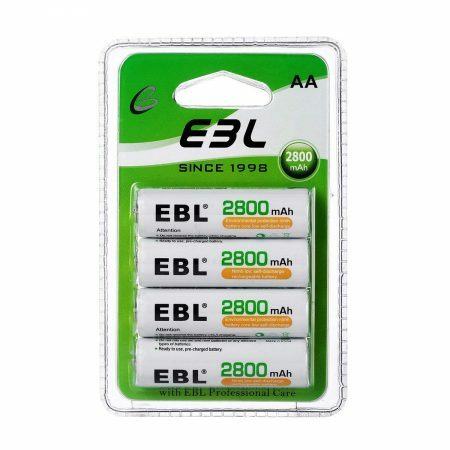 EBL provides you with most environmentally friendly D cells with great protection from leakage or other battery damage in everyday use.